As we promised, we would have a Part III of our series about the final changes in the Nationals’ Minor League system. 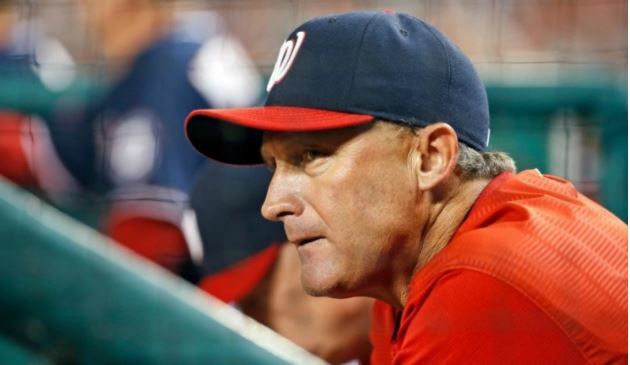 As we discussed previously, there were pitching coach changes at every level while the Nats parted ways with both Chris Michalak and Bob Milacki and brought in two new pitching coaches into the system with Brad Holman at Triple-A Syracuse and Larry Pardo at the Rookie-Level GCL Nationals. 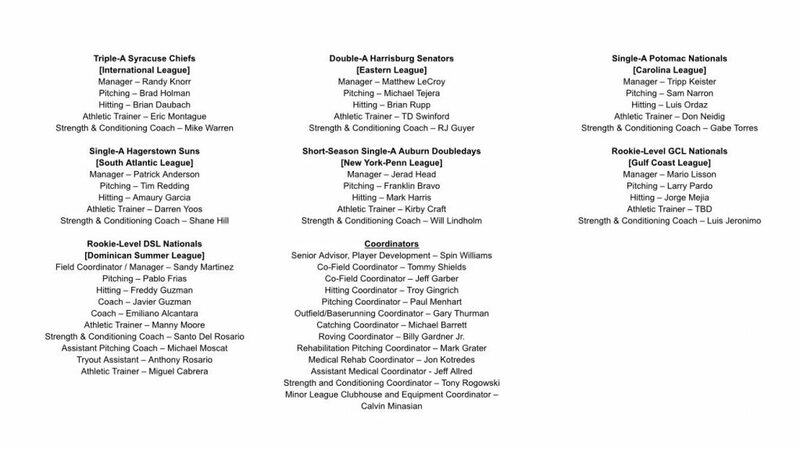 All the other Minor League pitching coaches were assigned from other levels within the organization. As we reported previously, Randy Knorr will move from the front office back to manage Triple-A Syracuse and the former manager, Billy Gardner Jr., will transition to a new role as a Minor League Roving Coordinator. Brad Holman joins the Syracuse’s pitching coach after spending the previous two seasons (2016–17) as the bullpen coach of the Texas Rangers. He was promoted to that role after spending seven seasons (2009–15) as a pitching coach through various levels of Texas’ Minor League system. The Gulf Coast League Nationals will be led by a new manager and that will be Nationals retiring minor leaguer Mario Lisson. Pardo will join Lisson as his pitching coach returning to that role after spending the previous two seasons with the Atlanta Braves as their Director of International Player Development. Former Major Leaguer Freddy Guzman has been tabbed as the new hitting coach of the Dominican Summer League Nationals. Guzman joins the coaching ranks after a 16-year professional career that included parts of five Major League seasons. He made his MLB debut with San Diego in 2004 and would go on to appear in big league games with Texas in 2006 and 2007, New York in 2009 and Tampa Bay in 2013. Here was Part II and Part I of the series. Roving Coordinator — Billy Gardner Jr. This entry was posted in Analysis, CoachingStaff. Bookmark the permalink.